A clean and classic look that will look stunning with a mirror or vintage decorative accent, this lovely small scale chest also offers useful bedroom storage. Three drawers are all trimmed with the vintage look of metal hardware finished in antiqued blackened copper finish. Framed moulding and tapered block legs bring depth and contrast to the exquisite antique white finish. 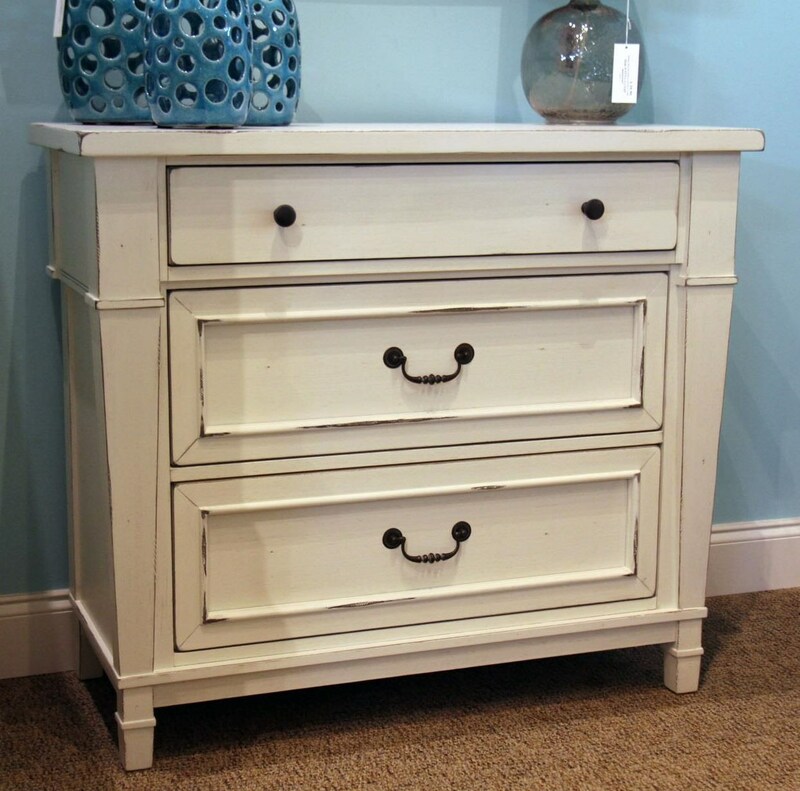 The Stoney Creek Youth Three Drawer Chest by Folio 21 at Great American Home Store in the Memphis, TN, Southaven, MS area. Product availability may vary. Contact us for the most current availability on this product.